Your new puppy may be a candidate for one or more dog sports. Most dog breeds were developed for a specific function. Even though modern pet dogs may not be required to herd sheep or retrieve ducks, they still have the skills. More importantly, many of our puppies also have the drive to perform their specialty. Dog sports offer modern pets the ability to perform these specialized skills in competitions that show off their ability. Think of dog sports as canine Olympics. To the dog, it’s a howling good party! Not all dog sports are breed specific. For example, obedience trials measure the ability of any breed or mixed breed dog to perform commands, such as come when called. 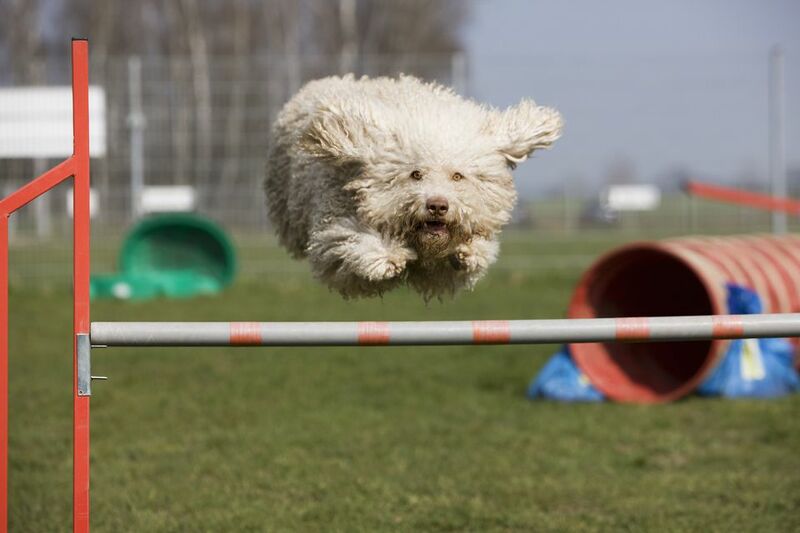 Canine agility, doggy freestyle—dancing with dogs—flyball and many ​more sports are open to any dog. The competition is a great way to have fun with your dog. There are a variety of dog sports to take part in. Natural talent is important but training and practice—and your puppy WANTING to participate—is key. The puppy that's excited about a particular sport will eagerly join in and delight in new challenges. Training not only teaches your puppy the commands and activities he’ll need to do. It also conditions the dog’s endurance and physical ability, so he doesn’t over-do and become injured. You can begin training during puppyhood. Basic obedience is the foundation of many other dog sports. Just be sure to delay strenuous canine trials until your puppy has the physical maturity to avoid injury. Puppy breeds mature at different rates, and different sports may have different demands. Competitions involve entry fees, investment in specialized equipment, car travel or flights to the trials, training classes, and time. But “fun matches” without a win-or-lose also are available. It’s important that your dog also has an interest in competing or it’s no fun for you or your pup. Ribbons provide bragging rights, but the real prize is spending time with your dog—and having her do her best to please you. That should be prize enough for anyone.